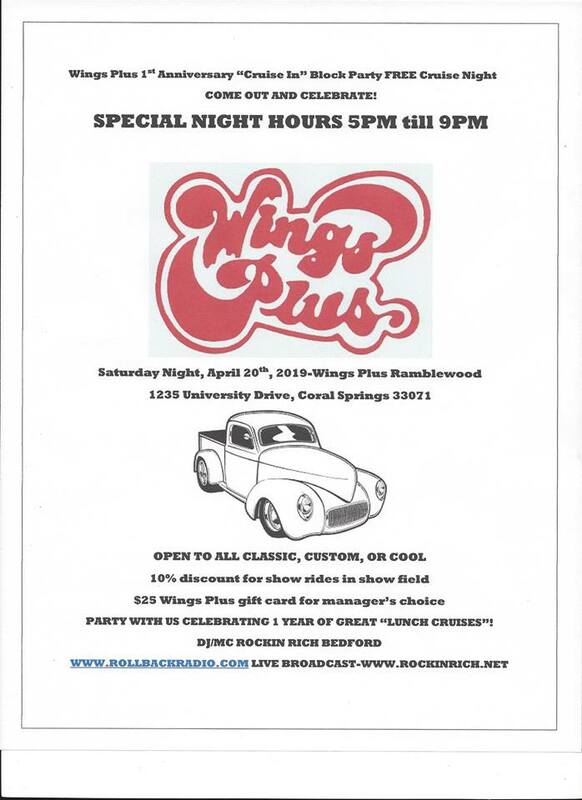 Join us for a special evening of Wings Plus cruise in fun. The event is a celebration of the popular “Wings Plus Lunch Cruise” which is one year old in April. The event is open to all classic, custom, or cool and is FREE to all those entering while space is available. 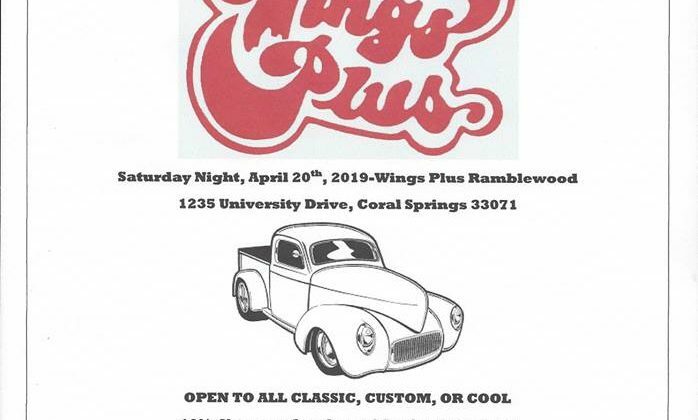 There will be draft beer specials, excellent foot traffic, a discount extended to all show rides in the show field, plus a $25 Wings Plus gift card will be awarded to “managers choice”. LIVE www.rollbackradio.com broadcast, DJ/MC Rockin Rich Bedford, and gates open at 4pm. Show hours are 5pm till 9pm.